NIB SUPER MARIO Mystery Vinyl Collectible Box CultureFly / Nintendo Free Ship! 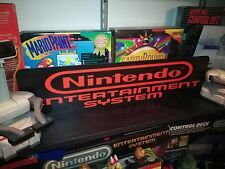 NES Display, Nintendo Entertainment System, Aluminum Sign, 6" x 24". 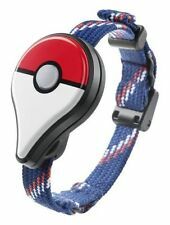 When a Pokémon is near, the light on the Pokémon GO Plus will flash; It will also flash and vibrate when you pass a PokéStop. 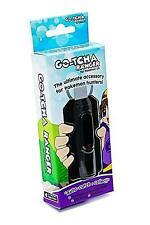 When a Pokémon is near, the device will vibrate and its LED will flash green . YOU ARE GOING TO POKÉMON GO SAFARI ZONE, SENTOSA™! Ticket(s) to Pokémon GO Safari Zone, Sentosa™. A. Resorts World Sentosa. DATE: Thur, 22 Apr 2019. SAFARI ZONE CHECK IN AREAS NOTE: THE QR CODE ONLY WORKS ONCE AND FOR only ONE ACCOUNT. 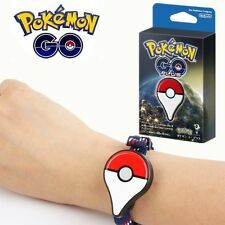 The Pokemon GO Plus accessory can be used with any compatible smart phone that has the Pokemon GO application installed. After the Pokemon GO Plus is paired via Bluetooth LE and a brief setup process is completed, players can encounter and catch Pokemon like never before. Wipeout 64. Turok Rage Wars. Zelda Majoras Mask. Personally tested and used on my own collection, they peel off with NO sticker residue left behind. Super Smash Brothers. Star Wars Episode One: Racer. Nintendo 3D Sign. What you see is what you will get. Mint condition no scratches no dents. Made inU.S.A. Vintage 1990 Avon Super Mario Bros Trifold Hologram Velcro Wallet. I am the original owner. It was a christmas stocking stuffer but I never used it. Great condition. Thin profile for a trifold. No pet or smoke smell. Works 100% perfectly, images are crystal clear and the sound is perfect. Super Nintendo Display, Aluminum Sign, 6" x 24". SNES! Picture shows front and back. P.O Boxes Not Accepted! NINTENDO SUPER MARIO BROS LOOT BOX CULTUREFLY. Up for auction are these 4 new and still in the wrapper Super Mario Bros/Zelda Collectors Albums With Starter Coins Lot Of 4 ThinkGeek. Condition is New. 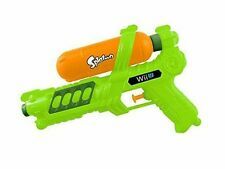 A must have for every Nintendo enthusiast! Low starting bid! Great gift! Buy it and give one of each as a gift, or sell one of each and make your money back!! Kellogg's Apple Jacks. This item is pre-owned. Very light wear. Club Nintendo Exclusive Super Mario Figurine Statue - 2010. Condition is Used. Shipped with USPS First Class Package. Killer Cuts music cd from N64 Killer Instinct. 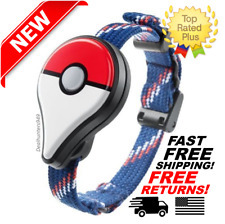 Once a Pokémon is close, press the button on the Pokémon GO Plus to throw a Poké Ball ;The Pokémon GO Plus will flash and vibrate to let you know if you were successful in catching the Pokémon. When a Pokémon is near, the light on the Pokémon GO Plus will flash; It will also flash and vibrate when you pass a PokéStop;. Trending at $28.74eBay determines this price through a machine learned model of the product's sale prices within the last 90 days. 2012 NINTENDO MARIO PARTY 9 VIDEO GAME POSTER (framed) 22x34 FREE SHIPPING. Condition is Used. Shipped with USPS First Class Package. COMES WITH FRAME. This is NOT an original box! NO GAME/MANUAL is included! These cases are designed specifically to hold your Nintendo NES cartridges. 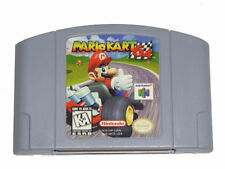 These are not the low quality Universal Game Cases that most other sellers offer. 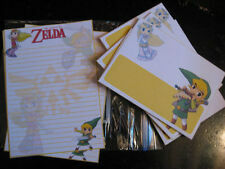 These firmly hold your cartridges in place, and include clips on the opposite side to hold the instruction manuals if you have them. .
170gsm Semi Gloss high quality paper. Toad plush from nintendo world ny. Condition is Used. Lead & phthalate-free. Crystal clear clarity. Condition is Used. Shadows of the Empire Box and Instruction Book (Nintendo 64). Super Play Action Football. Justice League Task Force. Tecmo Super Bowl III. FIFA International Soccer. 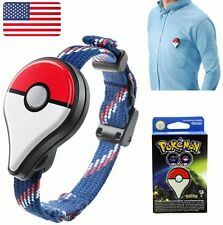 Pokemon Nintendo Go Plus Bluetooth Bracelet Accessory - Working Condition! 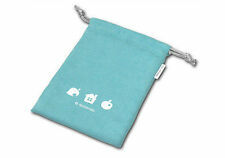 Pokemon Nintendo Go Plus Bluetooth Bracelet Accessory - Working Condition! . Condition is Used. Shipped with USPS First Class Package. Darius (Arcade). Darius II (Arcade). Sagaia (Arcade) Darius II Overseas Version. Darius Gaiden (Arcade). Data Storage. Nintendo Switch. The titles available in the standard collection are Does not apply. Trending at $42.95eBay determines this price through a machine learned model of the product's sale prices within the last 90 days. Super Mario fans, rejoice! The pin you receive will be in similar condition. Super Mario Odyssey Limited Cappy Double Sided Collectible Gold Coin! Bestbuy exclusive Super Mario Odyssey collectible coin! Free shipping! !